Measurements: Length: 6.5 inches. 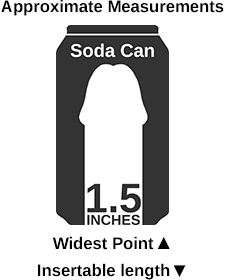 Insertable Length: 4 inches. Widest point 1.5 inches.